Summary: This is exceptionally well written (Jaideep Sahni take a bow), well acted and put together. Chak De! (no exact translation, but a phrase with the combined feeling of “well done”, “keep it up” and “way to go” – in a boisterous and encouraging manner…) is an inspirational story based on hockey a la Mighty Ducks. It also contains a smidgen of communal politicisation, high drama… oh, and it’s based on a true story. 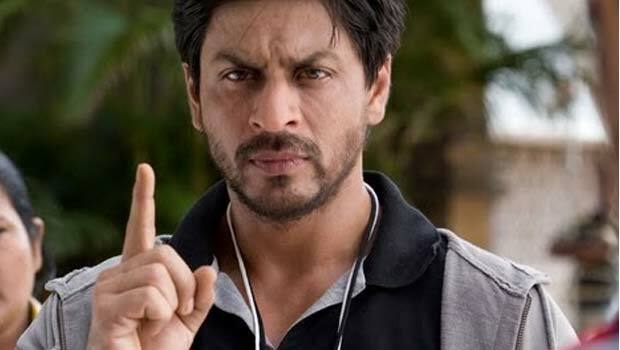 It tells the story of Kabir Khan (Khan) former player for the Indian national hockey team, who after a defeat in the world cup final retires in disgrace. Not because of the way he played, but because of who was played (Pakistan) and because of his own creed (Muslim). Labelled a Pak-sympathiser and rather alarmingly a traitor – Khan disappears from public view. Eight years later and he re-appears vying for a role as manager of the women’s hockey team. As distilled by the ‘selectors’ – why bother coaching girls in skirts on a field “they should focus on home-making” the existence of the women’s team simply a formality; with nothing expected of it. Still they give Khan a chance, one he sees as a chance for empowerment (for the women) and redemption (for himself!??). On appointment his friend tells him he should be happy as “India gives everyone a second chance…” ‘Everybody!? ?’ he retorts, as he shakes his head with a knowing smile. So he takes on a motley crew of girls from each corner of India and tries to quash their internal rivalry, pomp and attitude to make them perform together. Through this we also explore bullying, regional disparities, gender politics, sporting politics (why is hockey sidelined) inter-state racism (Punjabi’s, Bengali’s, Gujarati’s et al all get down and dirty) and fundamentally – the treatment of Muslims in India. Each member of the team has their own issues, whether it be regarding boyfriends, family, husbands, language barriers or seniority complexes, and that’s before they even get on the field. Khan decides the only way to gain their commitment and resolve is to simply break it, and let it naturally form for the team and for each other. The consequences though – initially at least, aren’t quite what he expects. This is definitely worth a dekko, what with the biggest star of India – Khan leading a band of young unknowns along a much trodden path. What makes it work is the tautly written script which has been shot and cut with as much vigour and thankfully minus songs. It is hugely intelligent in the way it highlights regional disparities and communal issues, and more importantly – dismisses them. It also has a huge dollop of accessible humour. Another appealing point is the fact it is based on true life events and a certain Mir Ranjan Negi who was discredited and disgraced on false doping charges after a similar defeat. He redeemed himself through coaching the men’s Indian hockey team to Gold in the Asian Games (1998) and thereafter the women’s team to Gold in 2002’s Commonwealth Olympics. For those baffled by the recent über-celebrations and jubilation at India winning the 20/20 World Cup – it wasn’t so much about winning the tournament, as to do with who was beat in the final – Pakistan. Think of an England – Germany derby and multiply the rivalry (read historically-based animosity) ten-fold to get some idea of why such a defeat brings hell or eden for the opposing sides. This is the first credible movie this year from the seemingly indestructible Yash Raj Films who have delivered some of this year’s (and their own) biggest duds to date. Mr Amin of Ab Tak Chappan (56 to date) fame may have had something to do with it. His debut movie (again – a biopic) on an “encounter specialist” detective having notched up 56 dead crims in the line of duty was taut and a bolt from the blue. His gritty type of story-telling seems to have given Yash Raj a much needed shot in the arm as its’ usual candy floss fare has tanked. This is exceptionally well written (Jaideep Sahni take a bow), well acted and put together. A decent songless drama – Jai Hind (Hallelujah) to that.